As discussed before, this U.S. stock fund is managed by Scott Satterwhite, James Kieffer, and George Sertl. The fund’s annual expense ratio fee is 1.20%. It has total net assets of $2.8 Billion. 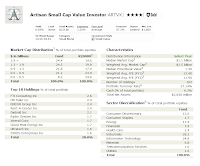 This small blend US stock fund also has a small yield of 0.04%. There is no sales load. Currently, this fund is closed to new investor. Previous investor can still invest in this fund as previously. If it is open to new customer, investor can buy this mutual fund with $1,000 minimum initial investment. Investor can purchase this fund from 76 brokerages. This small blend stock fund is rated with 4 stars rating by Morningstar. Morningstar analyst also rated this fund with Gold Rating. For 2011, this fund returned -3.17%. 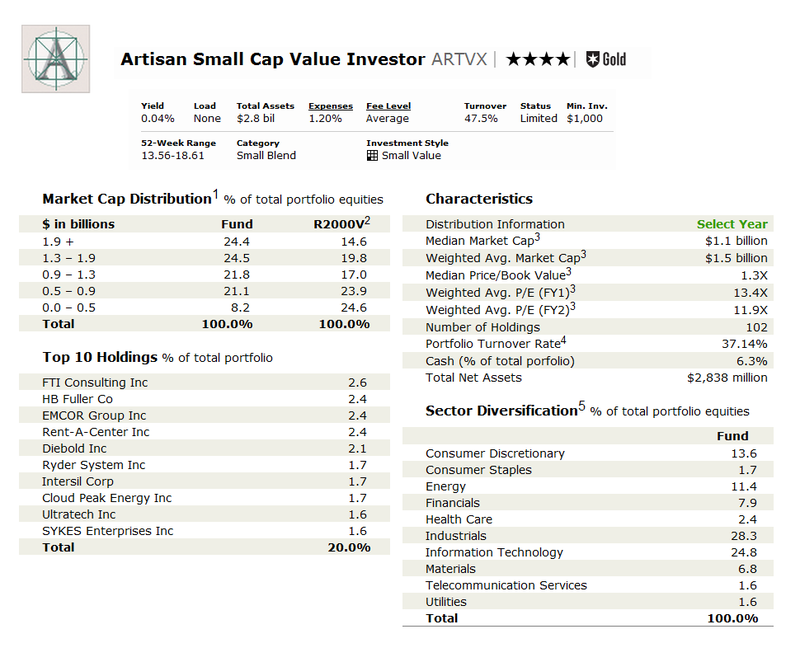 This performance is ranked 48% among the fund category, small blend U.S. equity funds. This best stock fund also has returned 16.93% over the past 3 years, 2.74% over the past 5 years, and 9.43% over the past 10 years. The best performance occurred in 2003 with 40.54% and the worst performance occurred in 2008 with -23.83%. As of January 2012, the top 8 sectors diversification include industrials (28.3%), information technology (24.8%), consumer discretionary (13.4%), energy (11.4%), financials (7.9%), materials (6.8%), health care (2.4%), and consumer staples (1.9%). The top 10 stocks in its holdings are: FTI Consulting Inc, HB Fuller Co, EMCOR Group Inc, Rent-A-Center Inc, Diebold Inc, Ryder System Inc, Intersil Corp, Cloud Peak Energy Inc, Ultratech Inc, and SYKES Enterprises Inc. This fund currently has 102 holdings in its assets. According to the fund’s prospectus, investment risks include stock market risk, value investing risk, sector risk, etc.